Under ACT Powai Project we celebrate the power of localised action under the ‘Environmentalist of the Week’. Each week we chose a local role model, someone from the locality who is making a difference and making Powai a better place. 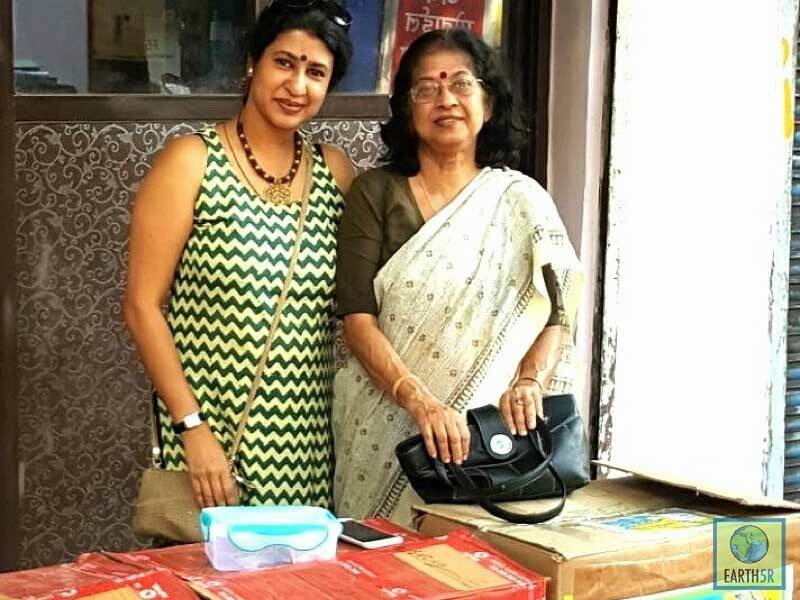 This week we have one such role model from Raheja Vihar- Prerna Agarwal who organised Yard sales in her locality with the help of children to encourage citizens for a positive environmental behaviour. 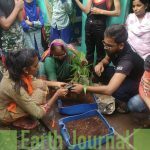 Read Prerna’s interview conducted by Earth5R volunteer Siddhi Oberoi. How did you get the idea to do this activity? The things will find a rightful user and thus be valued more. What is the organization that you are donating to and why did you choose this organization? The proceeds were given to a non-profit called LCCWA, or Logic Centre for Community Welfare, which is involved in remedial education and a one time meal daily to 150 kids in the IIT slum area free of cost. Ms.Chaitali Gupta is the main person who has been running the centre, with the help of volunteers and puts all her efforts for a brighter future for these kids. I thought that it would be great if we could give the funds raised by the sale to this organization. 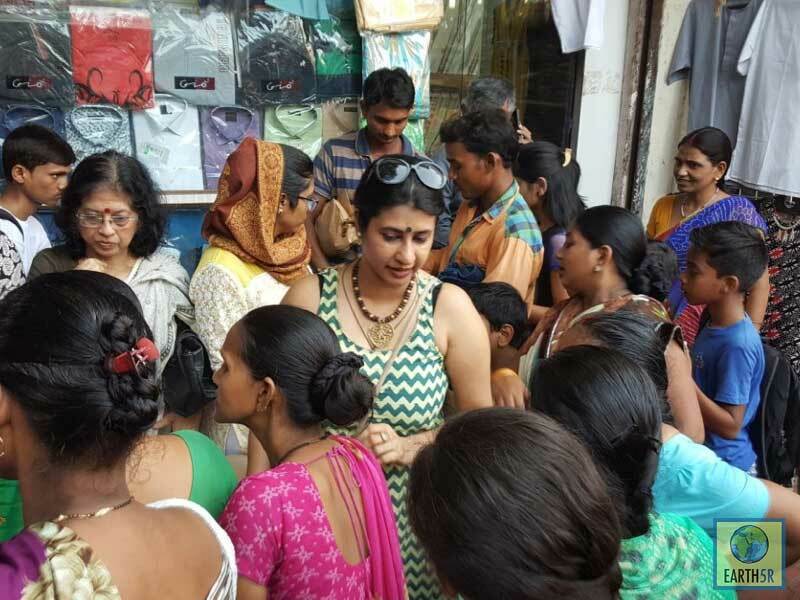 We thus planned to organize the sale in the IIT slum area outside the centre so that kids would also benefit from it. How did you carry out this activity? The first and the foremost thing was to make people believe in our concept and to spread the word about an event being organized. I named the event “Back to School Yard Sale” as we were dealing with the sale of uniforms, bags, bottles and tiffins. I posted it on all the social media platforms. 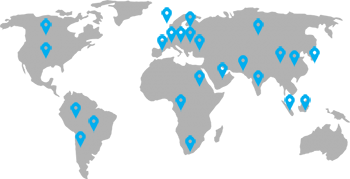 The next important step was the collection and locating areas of the collection. It involved taking permissions from societies to put boxes for collection. I had then arranged for boxes, labelled them and kept them in different societies on the dates they wanted. 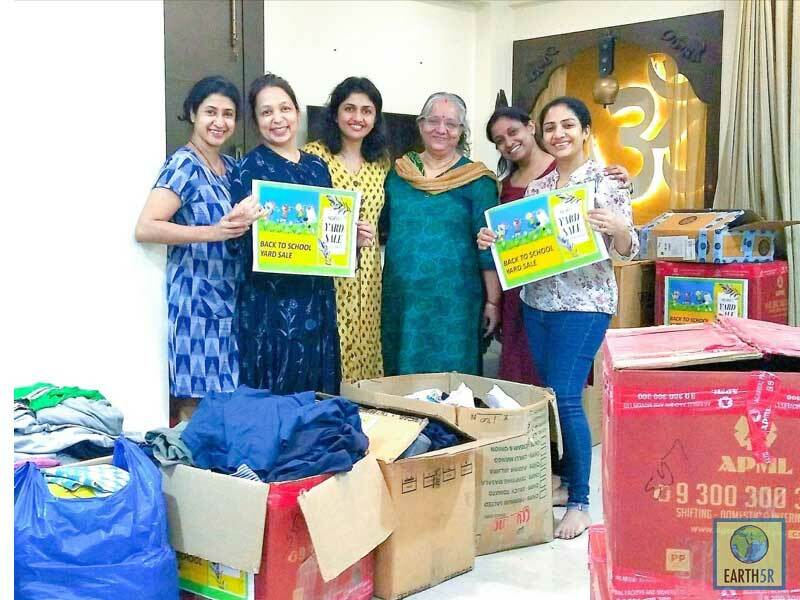 It went on for 20 tiring days or so and I kept collecting boxes in my house…I tell you what an amazing response we got as my house was full of cartons. Then came segregation: It involved segregating clothes and things that were wearable, in good condition and could be sold. Thanks to my family, friends and well-wishers that it was done in a day. The stuff left and which could not be sold due to bad condition were kept aside for Goonj. The sale took place opposite the LCCWA centre and it was a huge success. Everything was sold in an hour flat! All set for the sale to start! Our Soldiers for Greener tomorrow! Eager crowd…Waiting for their turn !! 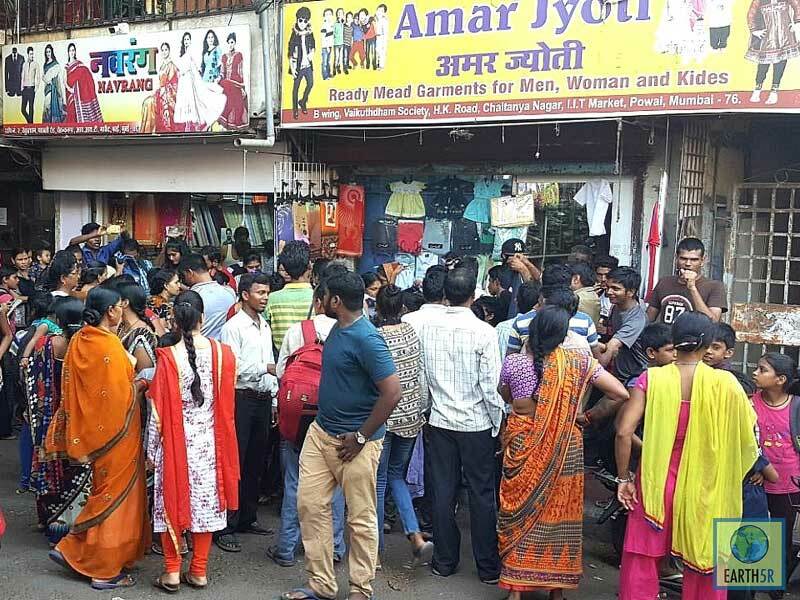 Happy to help….Sale in progress. Who were the other people involved in this activity? Other people involved in this activity were my family, friends, kids and volunteers of LCCWA,. It took 20 days to collect all the donations from different societies and an hour to sell them all. What were the challenges that you came across in doing this? 1)The biggest challenge was to convince people to believe in the cause and donate generously. 2)To make people understand that charity doesn’t mean getting rid of things misfit to be used by anyone. What was the outcome and how did you feel about this outcome? It was a huge success and I felt humbled. 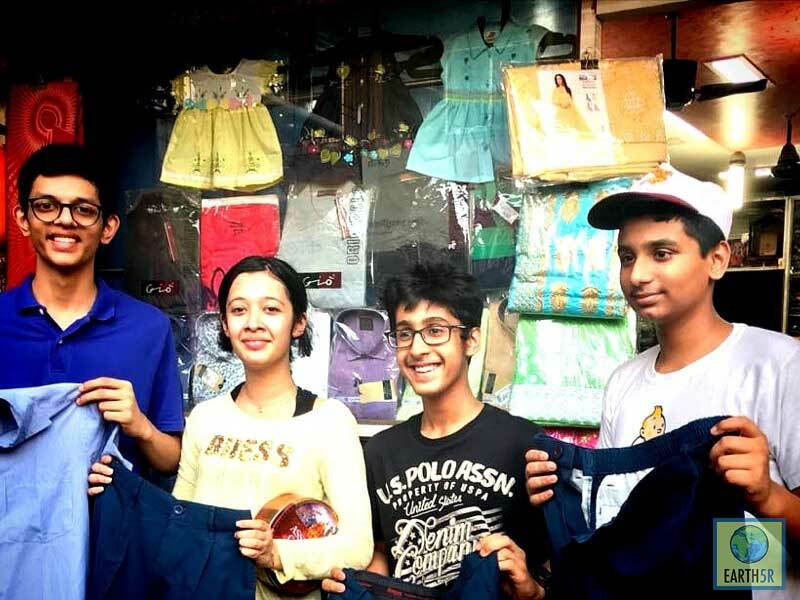 It was heartening to see how kids participated and helped for the cause. 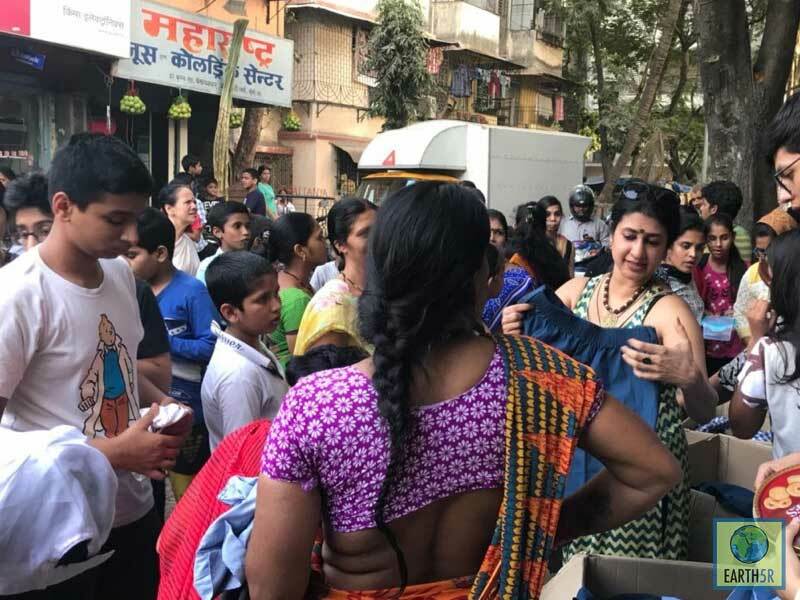 They also learned that the clothes that were of no longer any use to them held so much value and brought a smile to other kids.T he people who were buying were equally excited to get a new set of clothes at a meagre amount. What is your message to other citizens of Powai? 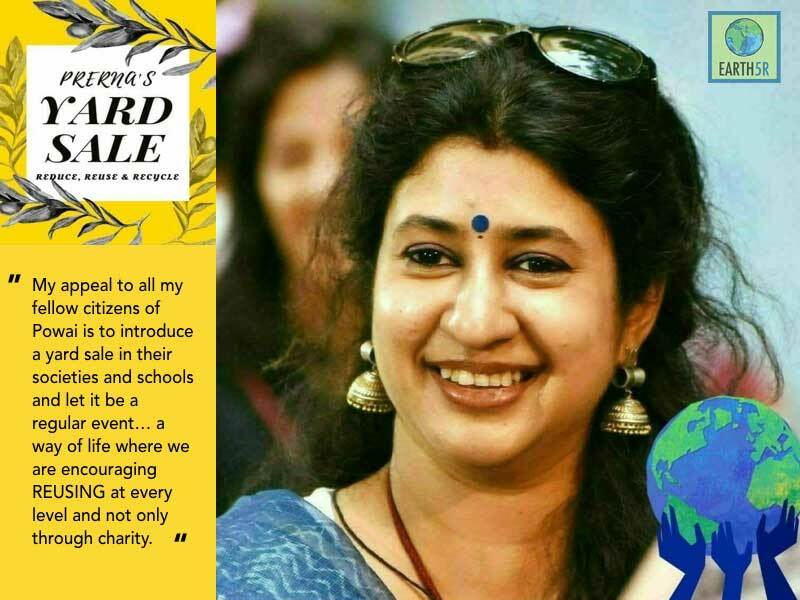 My appeal to all my fellow citizens of Powai is to introduce a yard sale in their societies and schools and let it be a regular event… a way of life where we are encouraging REUSING at every level and not only through charity. Please feel free to contact me to help you guide through if you want any such event to be organized in your society. 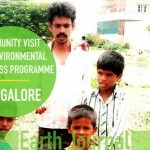 As I am passionate about this social cause and want to create awareness, my services are free. 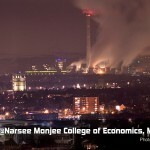 What do you think about the ACT Powai project? I am truly inspired by the movement started by Saurabh Gupta and his team. It is the need of the hour. It is a wonderful initiative and I think people from other areas/cities should conduct such programs and play their part in creating a greener tomorrow. I am thankful to ACT Powai team for giving me an opportunity to spread the word around. Do you know a local environmental hero? Tell us. 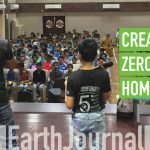 Every week we try to pick a sustainability role model from all walks of life and share their inspiring stories in the Earth Journal. 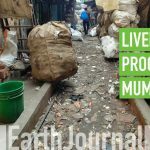 No Replies to "Environmentalist of the Week: Prerna Agarwal"